1968: The Beatles (known as The White Album), was released in the US for Thanksgiving week. Notable for the eclectic nature of its songs, the album has sold over 30 million copies worldwide, and was listed at No.10 on Rolling Stone’s “500 Greatest Albums of All Time” list. The album features: ‘Ob-La-Di, Ob-La-Da’, ‘Dear Prudence’, ‘Helter Skelter’, ‘Blackbird’ ‘Back In The USSR’ and George Harrisons ‘While My Guitar Gently Weeps’. The album spent 101 weeks on the US chart peaking at No.1. 1976: The Band plays their final live performance on Thanksgiving Day at the Winterland Ballroom in San Francisco. The show also featured Joni Mitchell, Van Morrison, Neil Diamond, Eric Clapton and others. The event was filmed by director Martin Scorsese and made into a documentary of the name ‘The Last Waltz’ which was released in 1978. 1984: British pop stars gather at S.A.R.M. 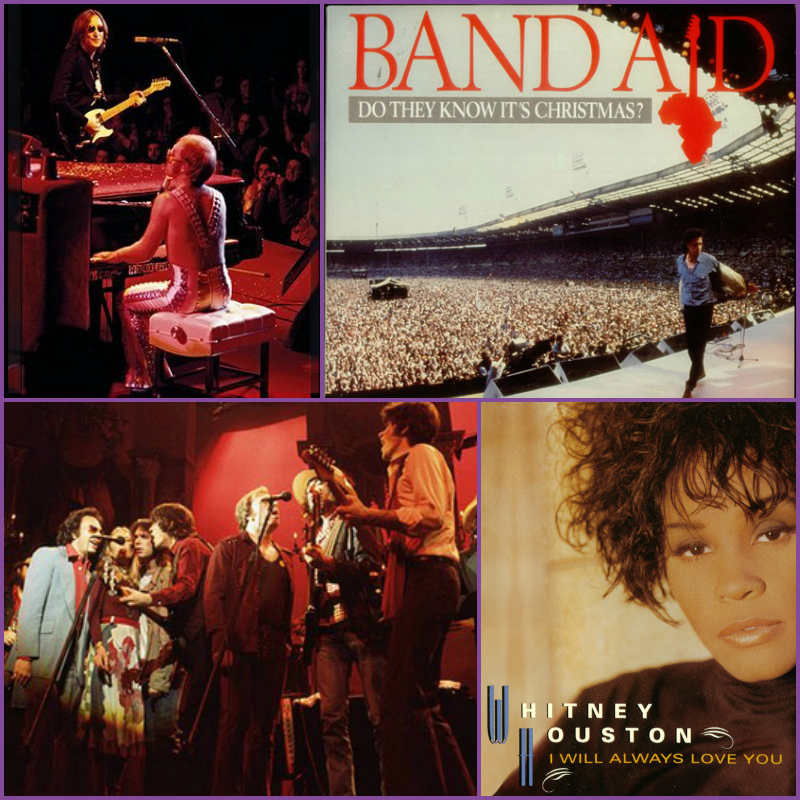 Studios in London using the name Band Aid, to record the historic ‘Do They Know It’s Christmas?’. The single, written by Bob Geldof and Midge Ure, featured Paul Young, Bono, Boy George, Sting, George Michael and others. It would go on to sell over 3 million copies in the UK alone, becoming the best selling record ever, and raising over $13.6 million worldwide. 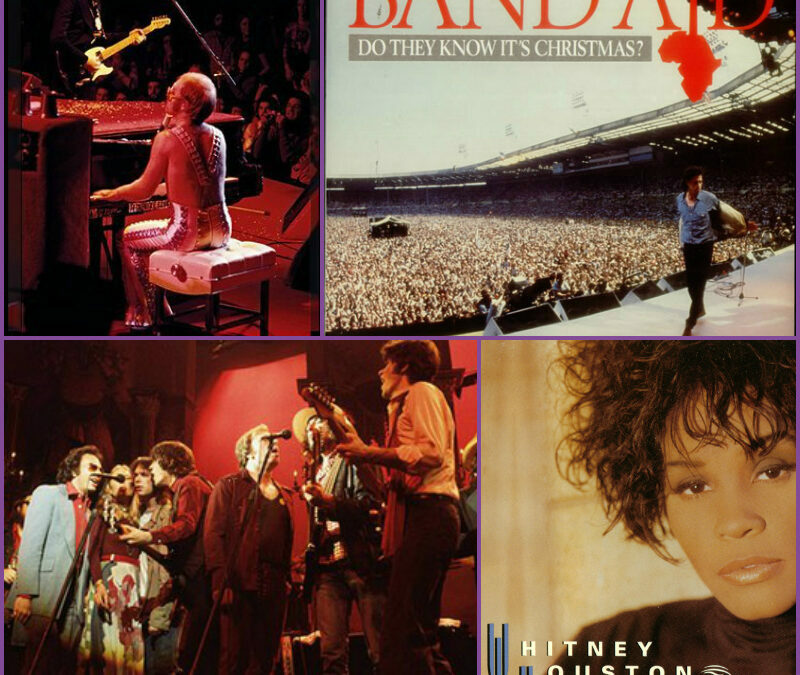 1992: Whitney Houston starts a record-breaking 14 week run at No.1 on the singles chart with ‘I Will Always Love You’, from the ‘Bodyguard’ soundtrack, released on Thanksgiving Day. The song was written by Dolly Parton. 1997: Reba McEntire joins the Dallas Cowboys at the team’s Thanksgiving Day Game to benefit the Salvation Army. McEntire debuts her single “What If” for the annual fund-raising drive. Proceeds from the song’s release go to the Salvation Army.